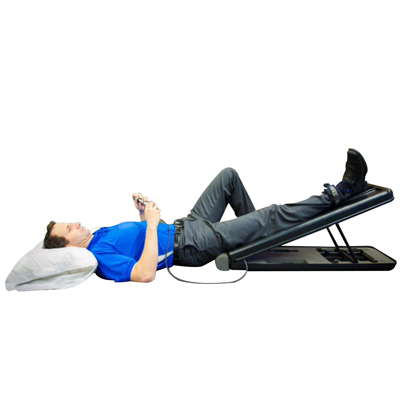 Hip traction devices are made for leg traction at home or for clinical use. It is used for hip osteoarthritis, FAI/labral pathology, joint stiffness, pain or muscle tightness. Use in patients' home without assistance of a second person. Use in a clinic to prepare patient for joint and soft mobilization. Reduce pain and increase mobility to improve exercise compliance and performance.